Born Helen Lyndon Goff in Australia in 1899, Pamela Lyndon Travers, author of the Mary Poppins series, was an intensely private figure. While she was happy to discuss her work, she was reluctant to talk about personal topics, and known to mislead interviewers, resulting in conflicting information about her history. Travers did not want so much as a biography written of her after her death, so the idea that her life might be made into a film—by Disney no less—would probably have horrified her to no end. Valerie Lawson, the author of Mary Poppins, She Wrote wanted to write about the author for some years, but respected her wishes until after her death. During her life, Travers sold her papers to the Mitchell Library in Sydney, where they are publicly available, forming the basis for Lawson’s biography. Divided into three sections—Nymph, Mother, Crone, titles apparently inspired Travers’ own interest in spirituality and the occult—Lawson follows Travers from her childhood in Australia, to her youthful forays into acting, which transformed into theatre journalism, across the ocean to England, where she continued to work as a reporter, and became an author, a mother, a mover in literary circles, and the follower of a bizarre and charismatic guru known as Gurdjieff. Lawson has done a lot of research to try to piece together the life of a secretive and long-lived figure who tried to leave her provincial past far behind her. There is a lot of ground to cover, and Lawson struggles to tease a coherent story arc out of a long and varied life. Lawson asserts that the fictional Mr. Banks was “the father, and lover, Lyndon wished she had,” but offers very little in support of this theory, which really only seems to work if you are thinking of the Mr. Banks of Disney’s film, rather than the character in Travers’ books, who is much less in need of saving. Rather, it seems Lawson is reaching desperately for a narrative conceit, a thread to string together her rather sagging and shapeless biography. A life is a life, not a story, and Lawson’s efforts to turn Travers’ life into a cohesive narrative fall flat. Lawson’s interpretive choices aside, her biography is one of very few sources against which to compare Saving Mr. Banks, the Disney film which recounts how Walt Disney finally convinced Travers to sell him the rights to make Mary Poppins into a movie after more than twenty years of trying. It was certainly a source for Kelly Marcel’s original script, which was then sold to Disney. For Disney to tell the story of the making of one of its own films is something of a conflict of interest, since the company is hardly likely to take a critical look at its own history, or stir up a controversy surrounding the creation of one if its most beloved classics. However, there are certain perks that come with the conflict. The Disney archives still contain the tapes that recorded the sessions in which Travers met with the development team for the film, and can be heard playing during the closing credits. Disney also has the rights to use music and video from the original Mary Poppins, permission for which almost certainly never would have been granted to another studio. 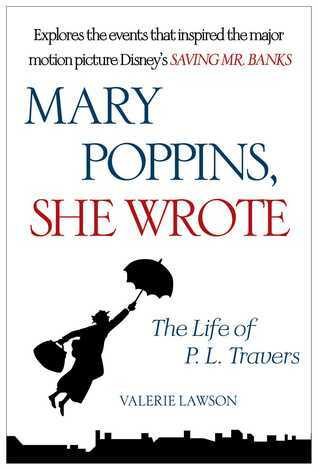 Whereas Mary Poppins, She Wrote covers Travers’ whole life, Saving Mr. Banks homes in on the production of the film. This focus on the making of Mary Poppins leaves out most of Travers’ life, and turns her into something of a caricature with overly simple motivations. The character of Pamela Travers, as portrayed by Emma Thompson, undoubtedly depicts Travers at her most extreme and unlikeable, though the period in question does indeed seem to have been a difficult and lonely one in her life. In the film, Walt Disney, played by Tom Hanks, asks Travers if she has children, to which she replies, “No, well, not precisely,” neatly eliding her adopted son, Camillus. The two became estranged when, at seventeen, Camillus learned he had been adopted, and around the period Travers and Disney would have been negotiating film rights, he was serving time in prison for drunk driving. And although Travers had a series of close male and female friendships that may or may not have also been romantic in nature, she did tend to fall out with them. She lived alone, and had to support herself with her writing. The film development storyline is counterpointed by sun-drenched flashbacks to Australia in 1906, where Travers’ father has just moved his family to Allora, a tiny town more than a hundred kilometres from Brisbane. Supposedly a fresh start, her father soon returns to his drinking, while her mother attempts suicide in the river. Like Lawson’s biography, the film strives for neat parallels, suggesting a simple connection between Travers’ childhood and her later creative works. Travers’ father is equated with Mr. Banks, and her aunt with Mary Poppins, who arrives with a carpetbag full of medicine intended to cure Travers Goff’s tuberculosis. Her father is portrayed by Colin Farrell, who excels, as ever, at playing a charming but dissolute character. Indeed, perhaps the best thing that can be said of the film is that it is well casted and acted. Tom Hanks is charming and persuasive as Walt Disney, while Emma Thompson is supercilious and blustery as the tightly wound Travers. 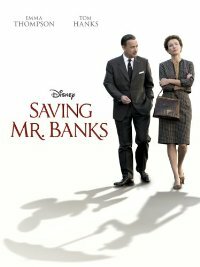 Taken as a work of fiction, Saving Mr. Banks is a moving if somewhat simplistic story, carried by talented actors and beloved songs. As an interpretation of real events, it leaves out much, and Mary Poppins, She Wrote is a rather dry read for those who want to get at more of the facts.